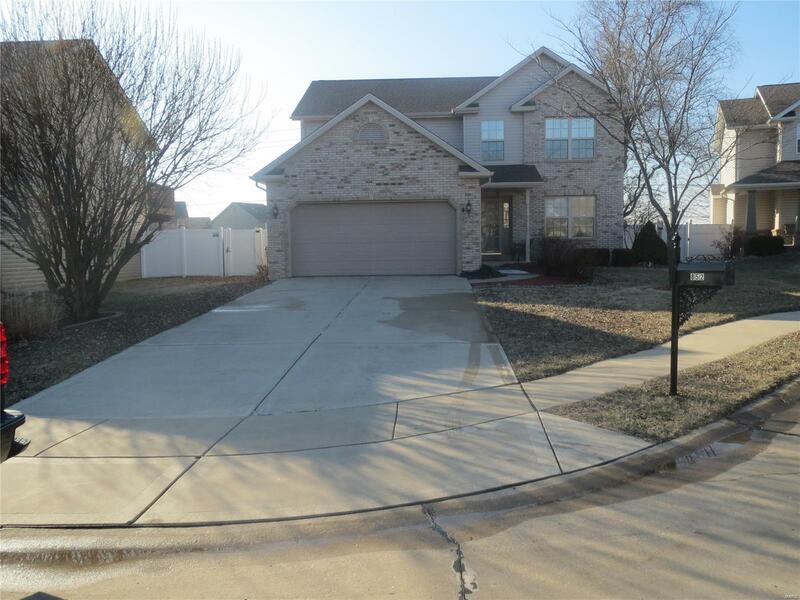 Welcome home to this charming 2 story, 4 BR, 3 1/2 bath home in O'Fallon with a finished basement. Situated in a cul de sac in Savannah Hills, one of O'Fallon's favorite communities, this home is ready for your next chapter. The main level features an office area just off the entry. The modern kitchen features an island with breakfast bar and eating area and is open to the family room. Main floor laundry with additional storage space and a sink. Upstairs the stately master suite features a tray ceiling, private bath and large walk in closet. The additional 3 bedrooms are all generous in size and feature plenty of closet space. The finished basement features a bathroom and plenty of space for a gameroom or recreation area. The fenced backyard is low maintenance and features a patio for casual entertaining. Savannah Hills is known for their many amenities to include a community pool, playground, and walking trails. Located just minutes from Scott AFB, I-64, and shopping and restaurants.